A quick check of the bestselling blu-ray movies on Amazon today, April 21, yielded few surprises in terms of the movies that are on the list. They included Avatar, Sherlock Holmes, The Blind Side, Twilight Saga: New Moon and The Lord of the Rings: The Trilogy. However, there was one very big and very unexpected surprise. That surprise was the Amazon customer reaction to The Lord of the Rings: The Motion Picture Trilogy which shows 2,926 1-star reviews. That could well be the poorest review of any movie release that I have ever seen and, considering this was supposed to be one of the top most wanted blu-ray releases, that is truly surprising. I flipped over to one of my favorite online blu-ray experts to see what they had to say. High-Def Digest actually came right out and said, "fans are going to be pissed off." They went on to say that the blu-ray features the theatrical and not the extended versions of the movies. (Major disappointment.) That the supplements are disappointing as is the video transfer. The only upside was the audio. Despite all the flaws though, High-Def still considers this movie release a must own for your blu-ray collection. They feel that there is a difference between an upscaled DVD and the blu-ray disc. 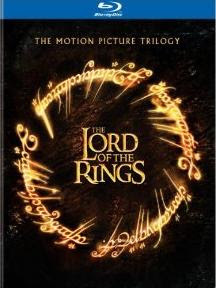 Buy The Lord of the Rings: The Motion Picture Trilogy on blu-ray from Amazon.